It’s nearly the weekend and you are looking for a bar to hit with your friends to spend a joyful Friday night out. If you want to have some extra fun you should probably opt for a ping-pong bar this time, instead of the same bar you go to every week. 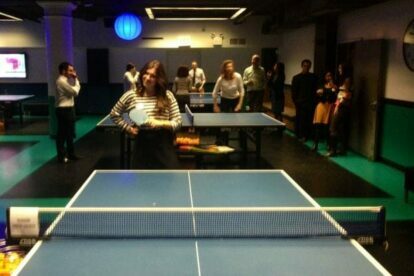 Ping-pong bars are a concept that have become very popular in big cities in recent years. They have opened up to prove that playing pool is not the only activity that can be loved by people when they are having drinks. 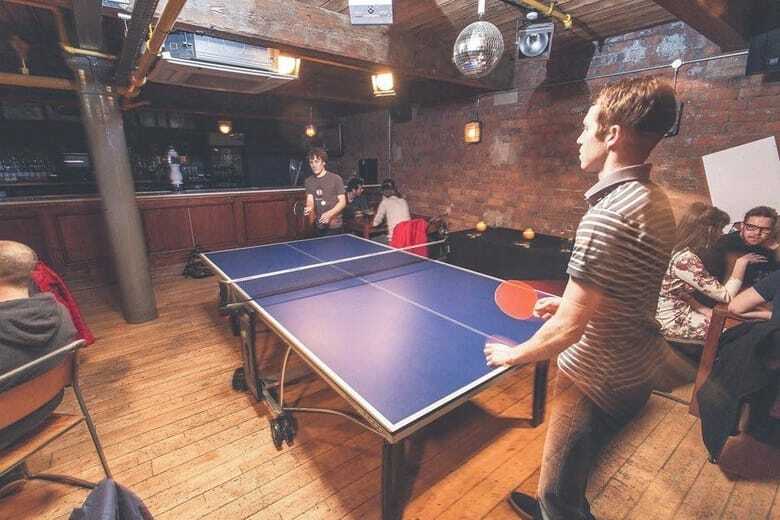 The idea of a ping-pong bar is basically as simple as this: play table tennis while having drinks in a bar and who knows, maybe after that 3rd beer your skills at ping- pong might even surprise yourself! These kinds of bars are usually open in the afternoons as well, which makes them a fun activity for every hour of the day. 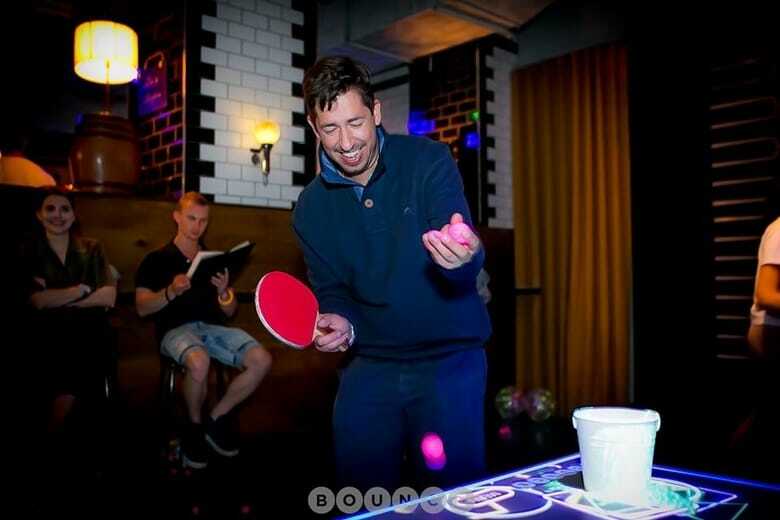 Below you can find (not in any order) some of the most fun ping-pong bars in different cities of the world that are loved by locals and are definitely worth being paid a visit. When it comes to nightlife New York city can always catch one by surprise with the amount of diverse and unlimited options. And should you get bored of the clubs and bars that are similar to each other then SPiN can be a nice alternative to spend some time and show off your ping-pong skills. 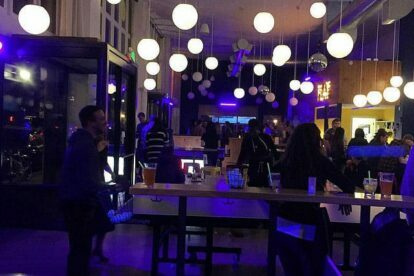 However, if you are a beginner you shouldn’t be worrying about that at all since the majority of people there are not professionals themselves and this bar is all about giving everyone a good time. Hence, no judging looks will be directed at you when you don’t hit the ball. 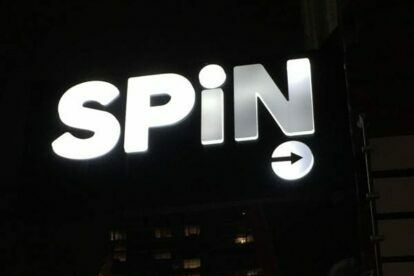 SPiN has actually been so successful and so loved by locals that after starting in New York it opened another location, this time in Toronto. If you want to make sure that you will get a table you had better make a reservation beforehand here. Do not forget to try some of their fatty and tasty snacks as it will be a necessary addition you will not regret about the experience you will have at SPiN. In addition to having 10 ping-pong tables Gossima in Paris also provides its customers with delicious snacks and alcohol and a cosy place to relax while eating your food. What is even more cool about this place is that during some evenings live performances by DJs bring new life to the bar turning it into more of a disco. A tip from our local is to go there on Sunday afternoons if you want to have more space and more available tables. 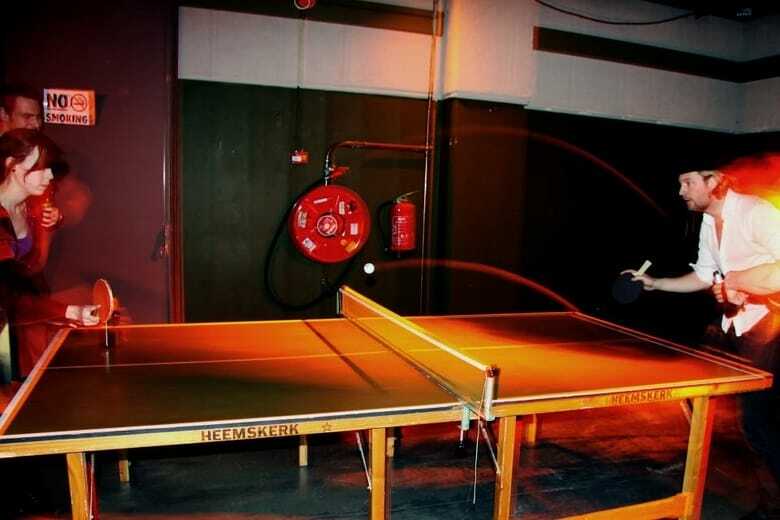 Mlados Table Tennis Bar takes ping-pong a little bit more seriously and doesn’t consider it just a way of entertainment. That being said, it has been bringing out the best ping-pong players for around 70 years already. Hence, here the tennis tables have more historic value than any other ping-pong bar. 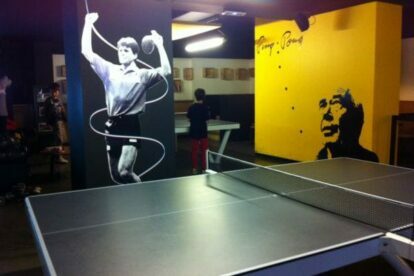 The owners of this place are very passionate about ping-pong as the family have been and keep playing ping-pong themselves. 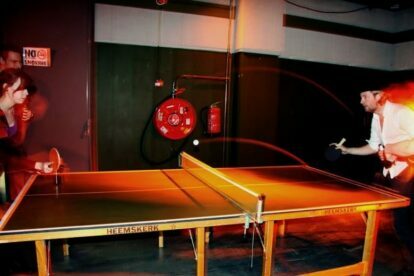 So if you are looking for an authentic table tennis bar where notable players have left their marks, then this is where you should head to when in Belgrade! From the outside you will hardly notice that this is a bar as it seems like it is an abandoned or a location that’s under construction. Dr.Pong is a very relaxed bar with Berlin-style simplicity that, apart from tennis tables and a bar, also offers a lounge and a DJ stand. 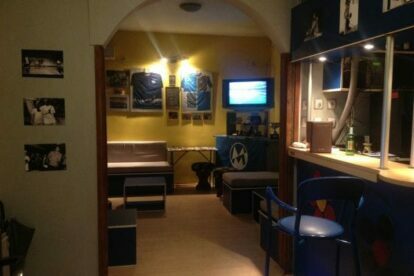 This bar tries to blend partying and sport and wants to show that the combination of both can be absolutely entertaining and fun. As the owner mentioned himself they try to generate a “healthy addiction” to beer and table tennis among their customers. Tip: you should bring your own paddles if you have some because this way you will save € 5. Bounce is for when you want to have an interesting, active night out. Play table tennis, drink nice cocktails and dance to eclectic beats. They also host fun events like disco nights, bottomless brunch and independent ladies night! Don’t forget to look around you when you’re visiting, the glow in the dark interior is super cool. Okay so this next one isn’t always fully dedicated to ping-pong, however every Tuesday night you can play a mean game of table tennis here. OT301 is a former squat turned into an underground bar and live music venue, and they’re known for legendary ping-pong nights. The ’round the table’ games usually start with over 40 players, chaotic but a lot of fun. The crowd is a mix of students, locals, expats so never boring! And the beer is cheap, also very important. 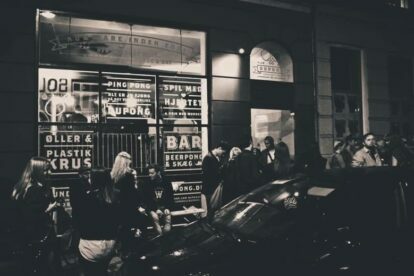 DuPong was created to boost Kopenhagen’s nightlife, to keep it fun and creative! It’s Copenhagen’s first table tennis bar and was opened in 2012, but quickly became quite popular amongst the locals. Besides table tennis they also offer a great variety of beers, cocktails and music. Located in a former cotton mill you can find Kosmonaut. 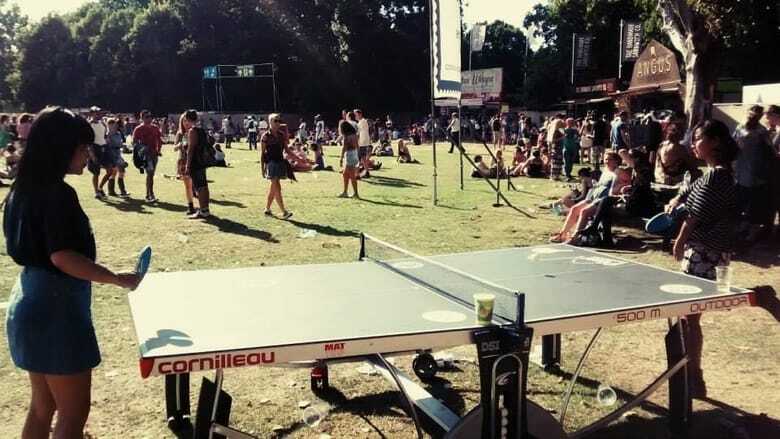 Here you can play table tennis whilst listening to some great DJ’s and eating a great burger. 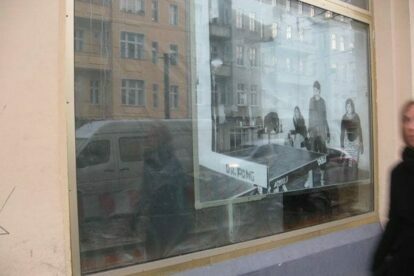 They also host all kinds of art, music and film related events! Ping! 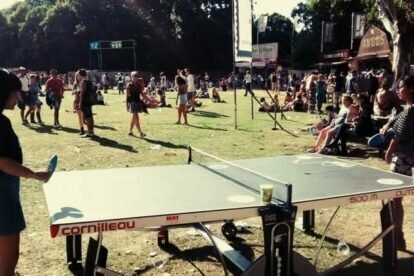 in London has only one goal: bring ping-pong to the people! They host all sorts of table tennis related events all year round, and can be found all over England. Next to indoor tables, they also have nice outdoor tables for when the weather allows it! In conclusion, the majority of big cities will probably have something in store for you if you feel like trying your ping-pong skills or just watching others play whilst you enjoy your drinks/snacks. The ones listed above, however, should not be missed if you’re ever in one of these cities!